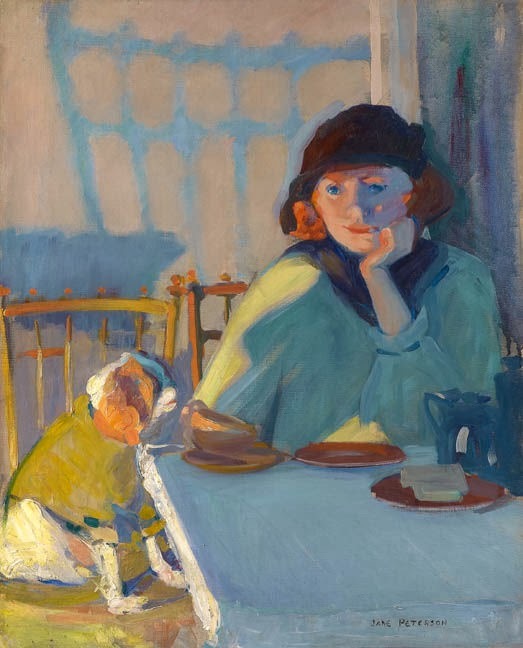 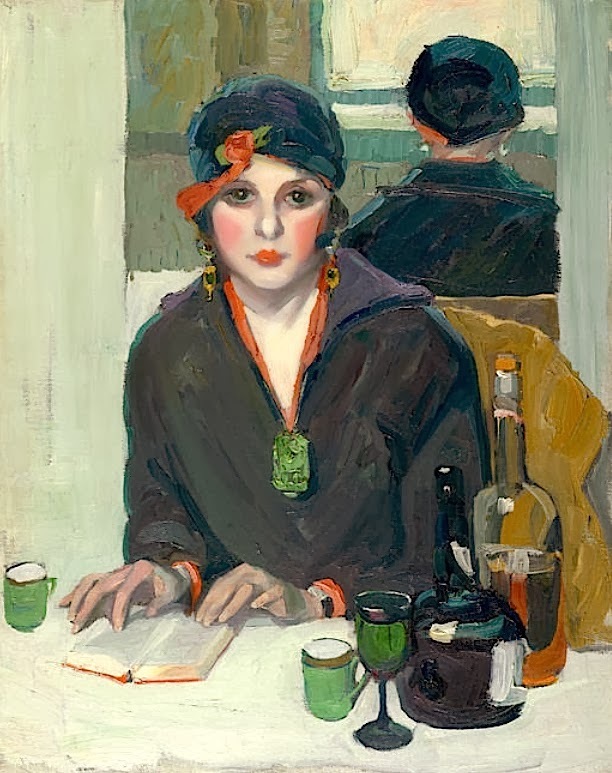 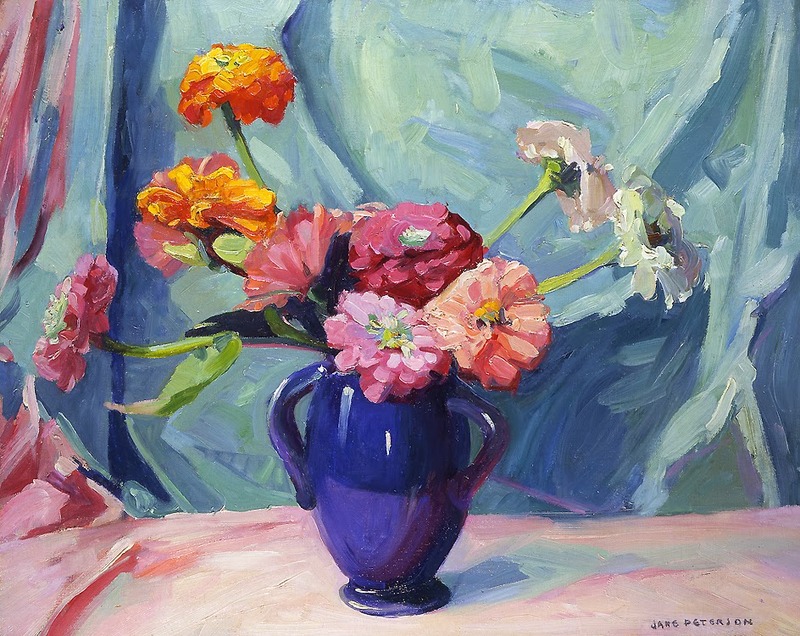 Jane Peterson (1876-1965) was one of the foremost women painters in the United States. 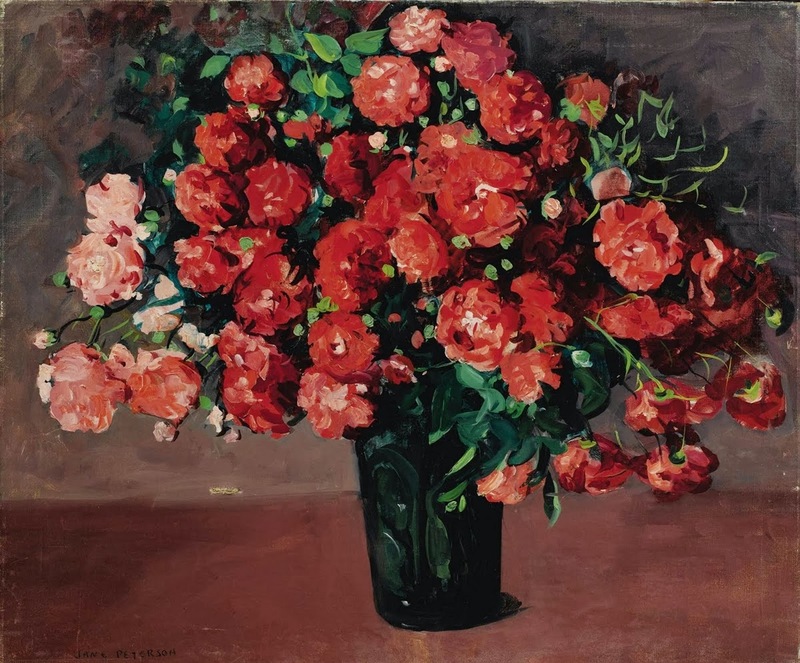 Her works are housed in museums such as the Metropolitan Museum of Art, the Museum of the City of New York, the National Museum of Women in the Arts and Hirshhorn Museum in Washington D.C. 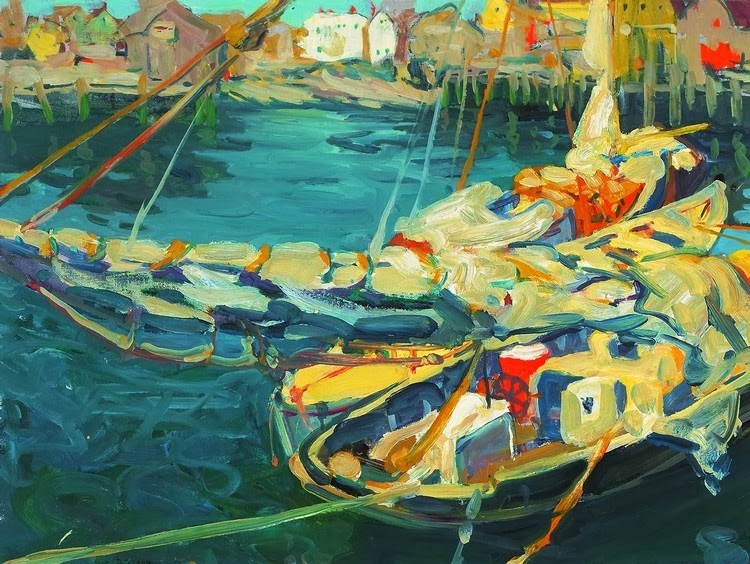 Her works are a blend of Impressionist and Expressionist styles, combining an interest in light and in depiction of the spontaneous moment with the use of broad swaths of vibrant color. 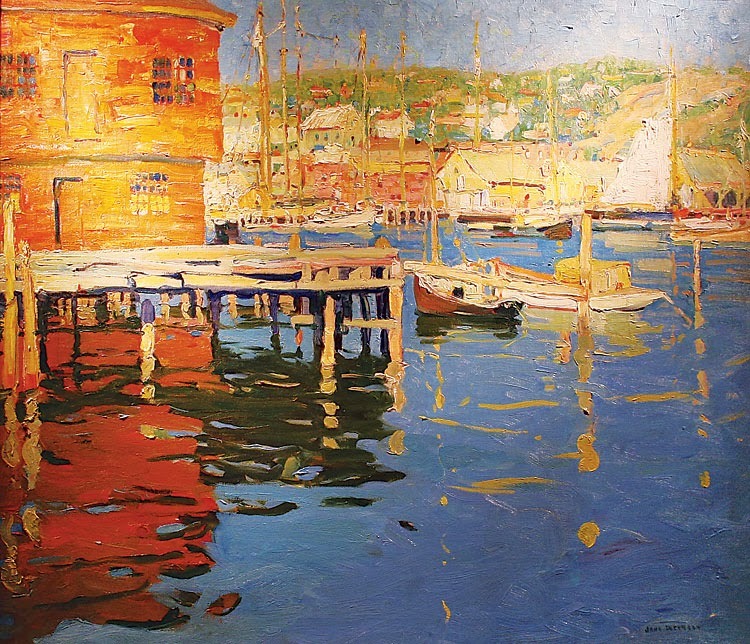 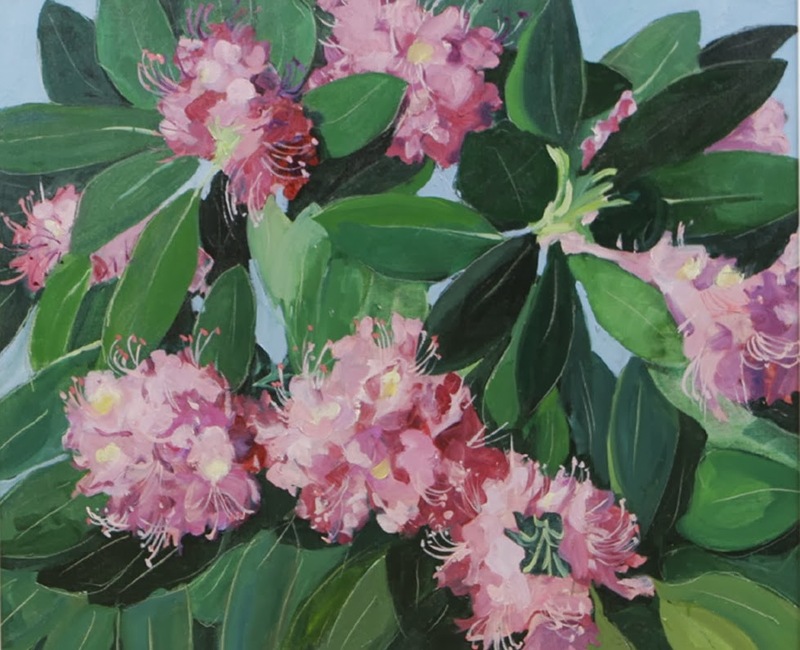 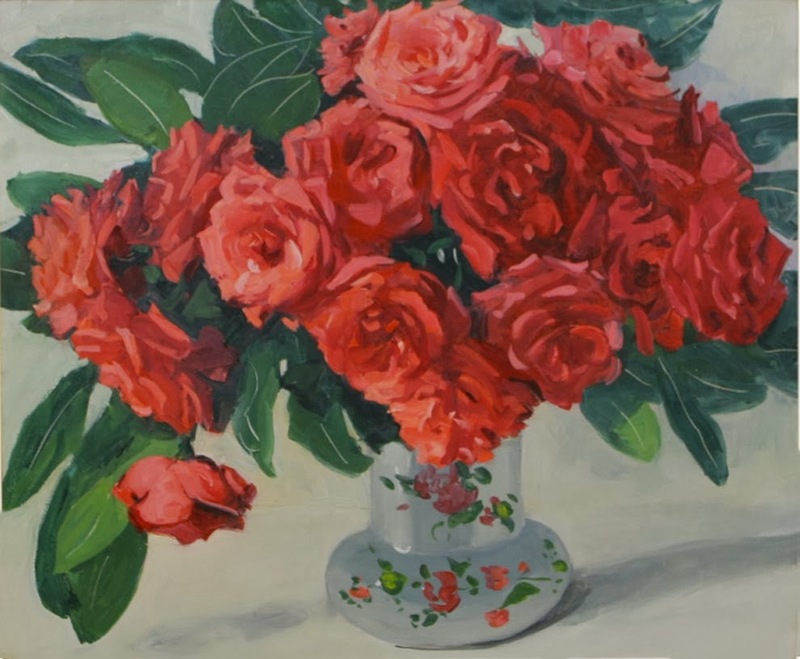 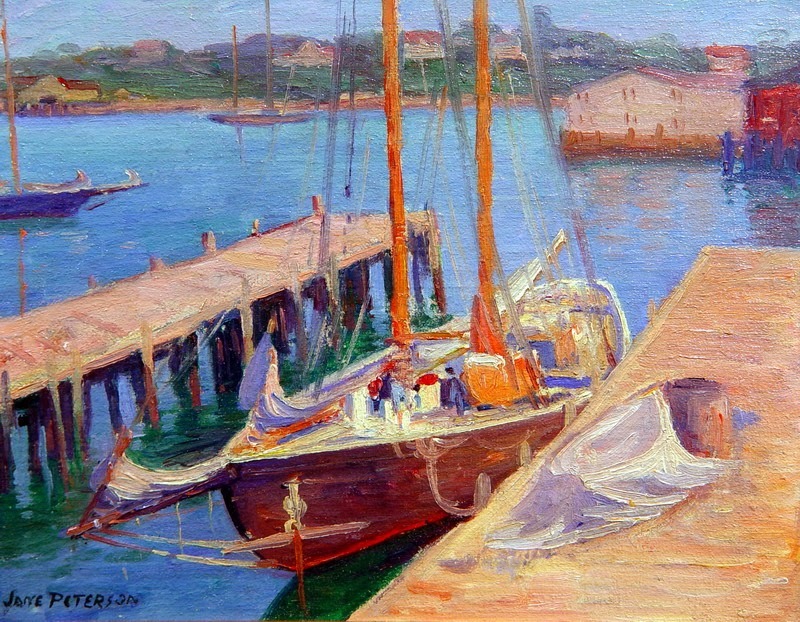 She is well known for her vivid, richly painted still life, and beach scenes created along the Massachusetts coast. 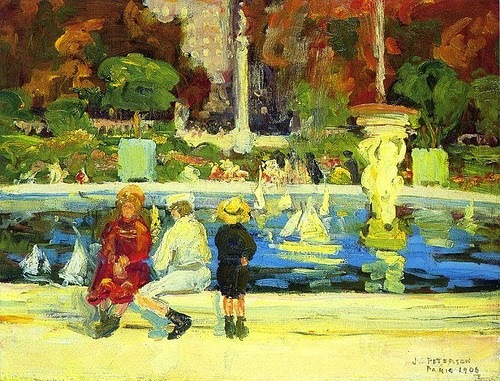 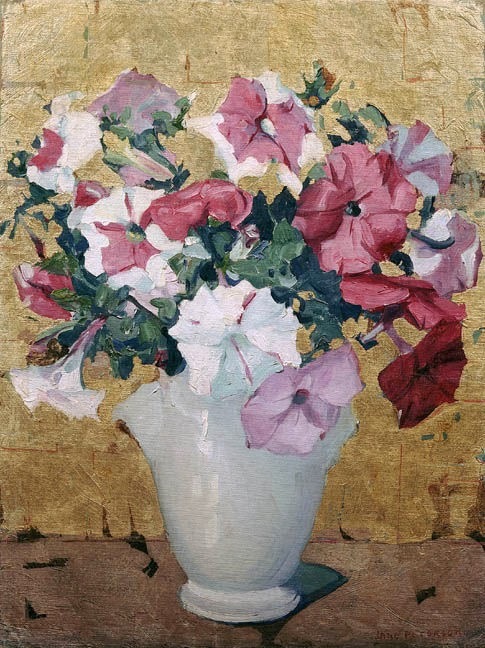 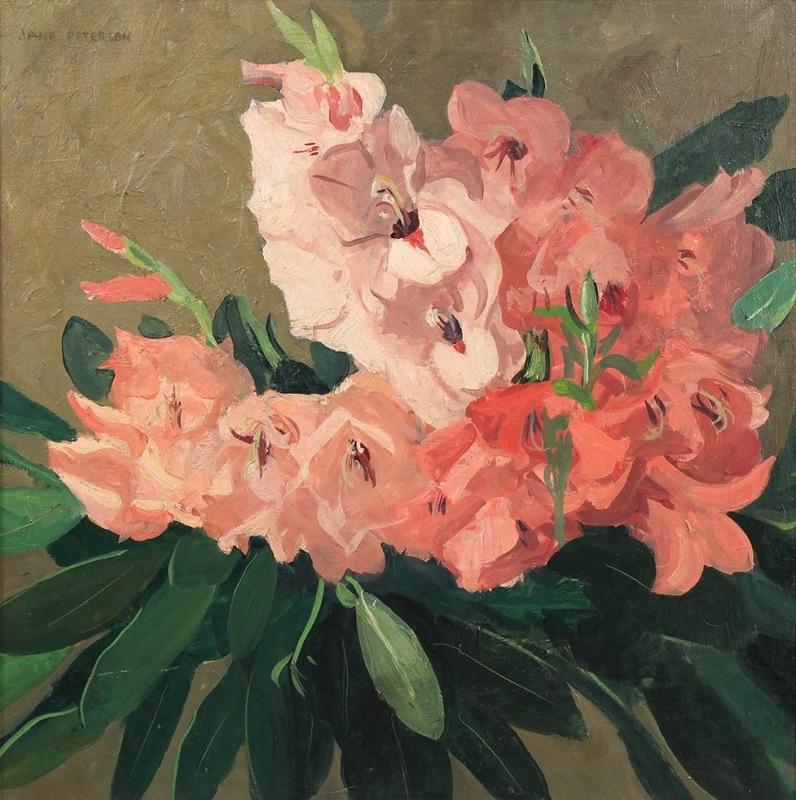 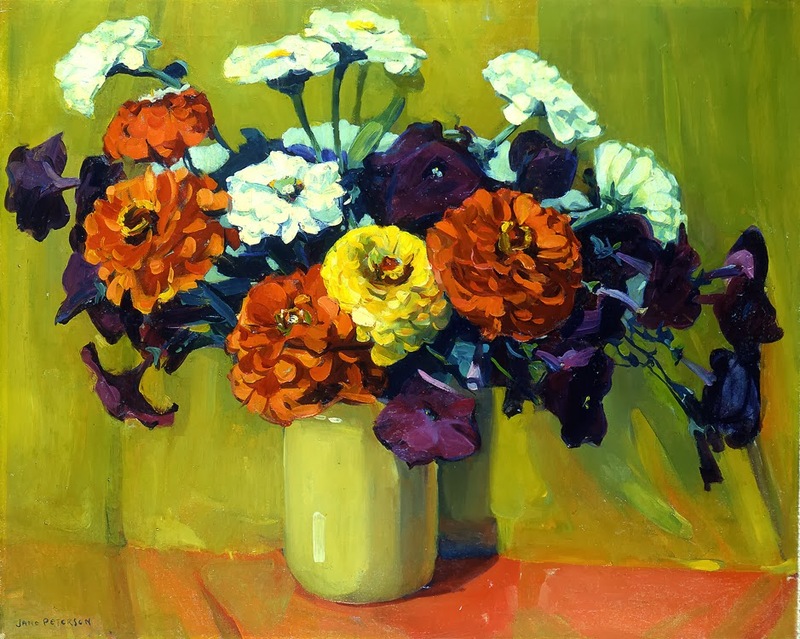 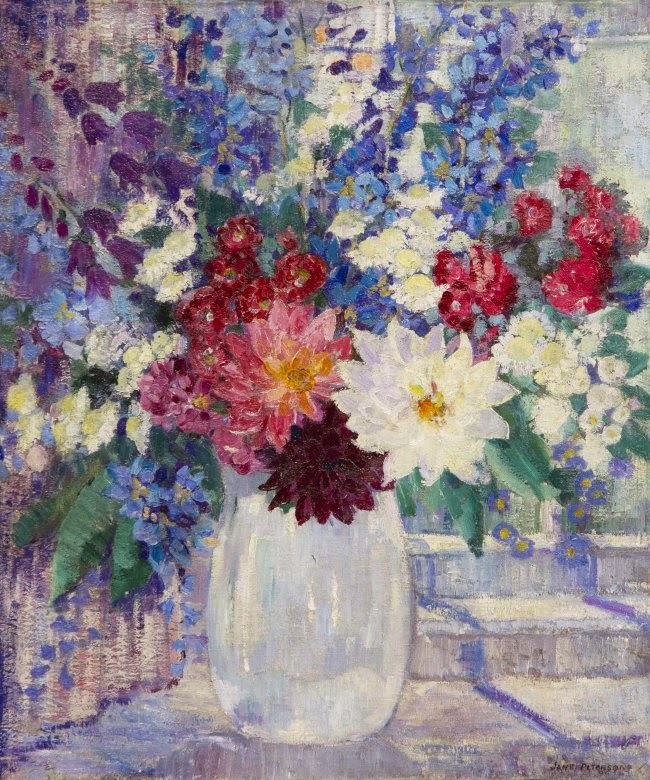 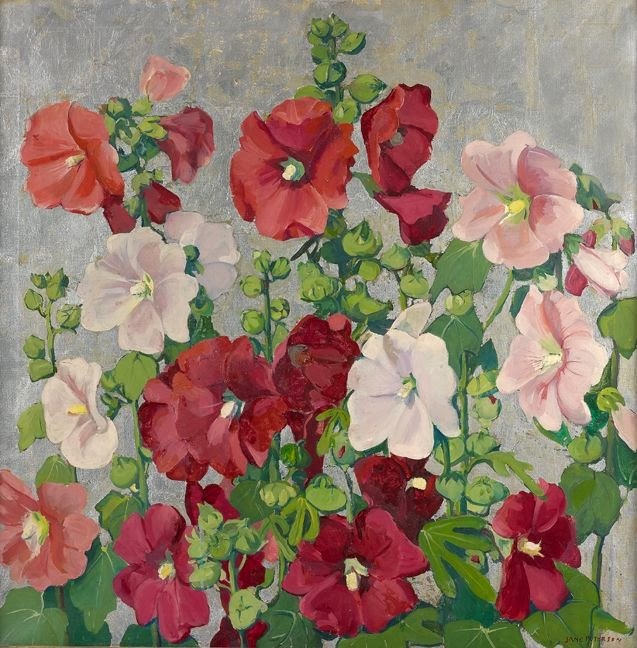 Primarily known as a painter of Impressionistic floral landscapes, Jane Peterson was born in Elgin, Illinois, in 1876. 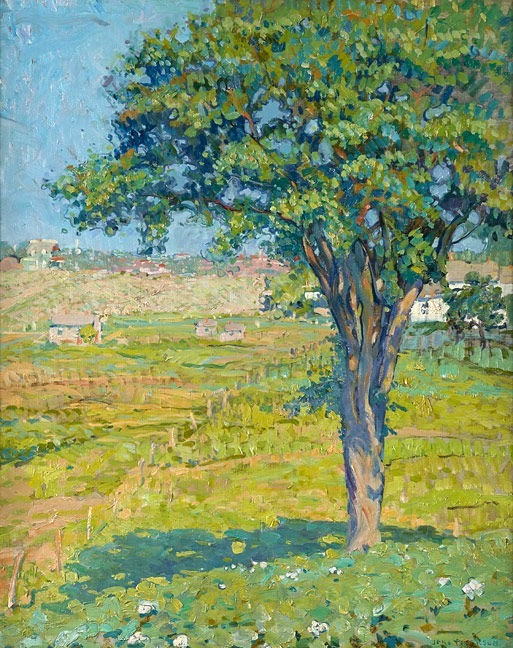 At an early age, she was given an aptitude test for artistic ability at the Art Institute of Chicago, the results of which encouraged her to enroll at the Pratt Institute in Brooklyn in 1895, where she studied under Arthur Wesley Dow. 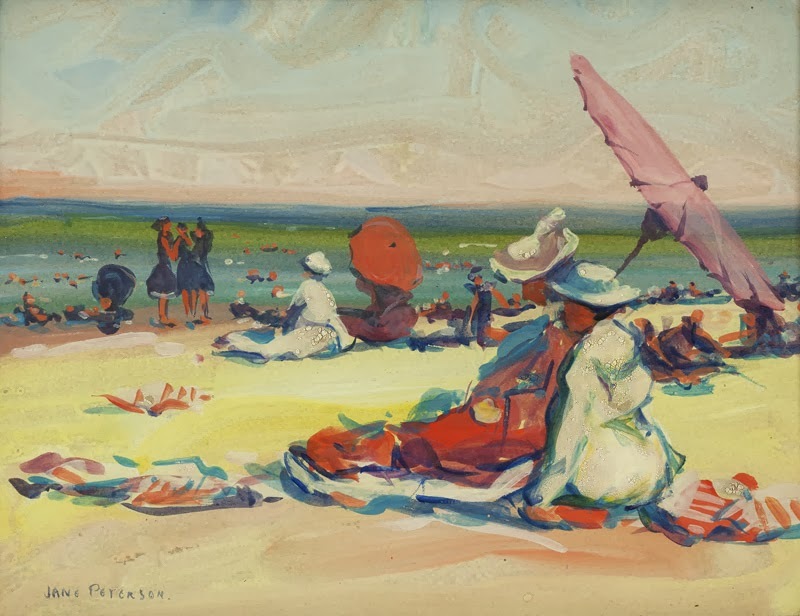 His principles of simplified design and color are evident in Peterson's early work and continued to influence her throughout her career. 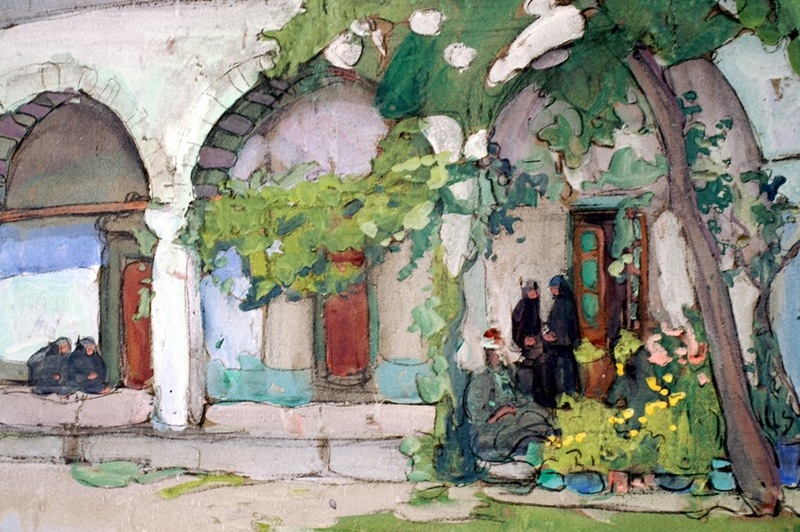 After graduating from Pratt in 1901, Peterson became the Supervisor of Drawing for the Public Schools in Brooklyn. 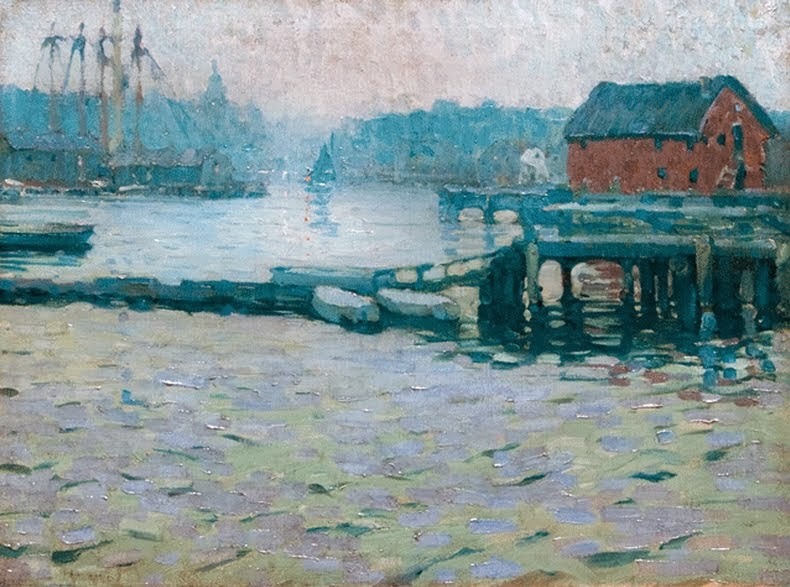 She continued her studies at the Art Students League under Frank DuMond, Henry B. Snell, and Birge Harrison. 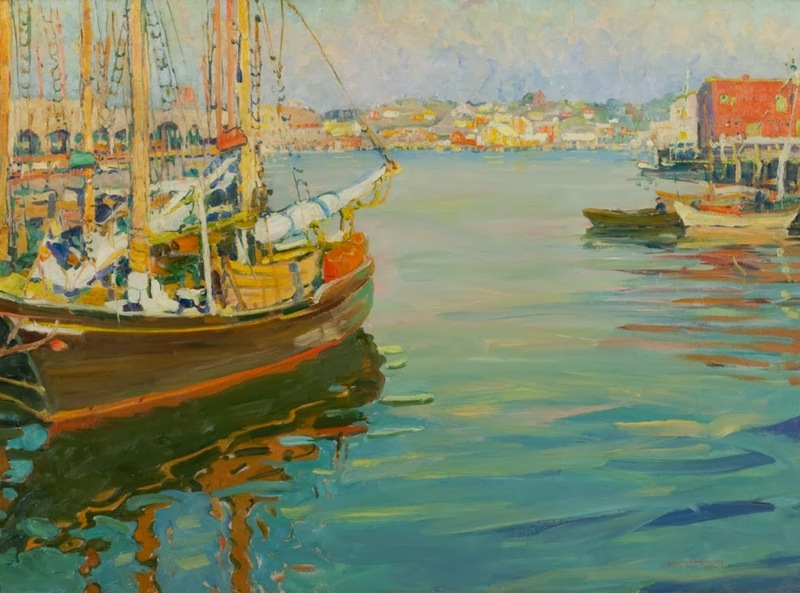 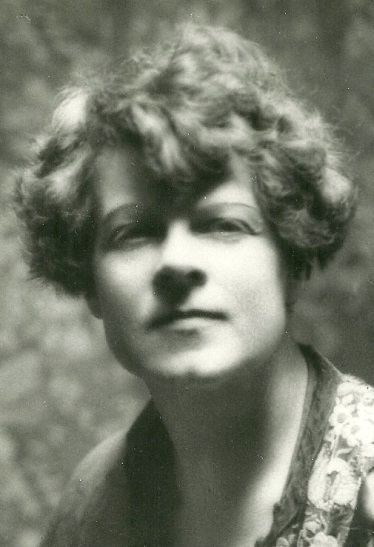 In the fall of 1906, she taught briefly at the Maryland Institute's School of Art and Design in Baltimore before sailing for Europe the following year. 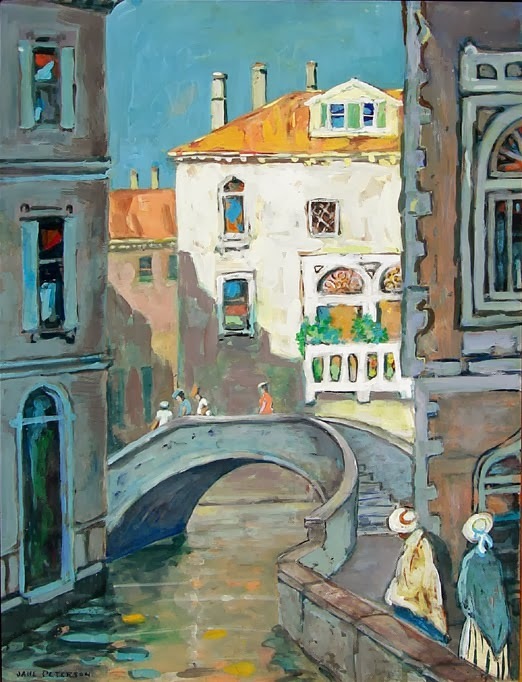 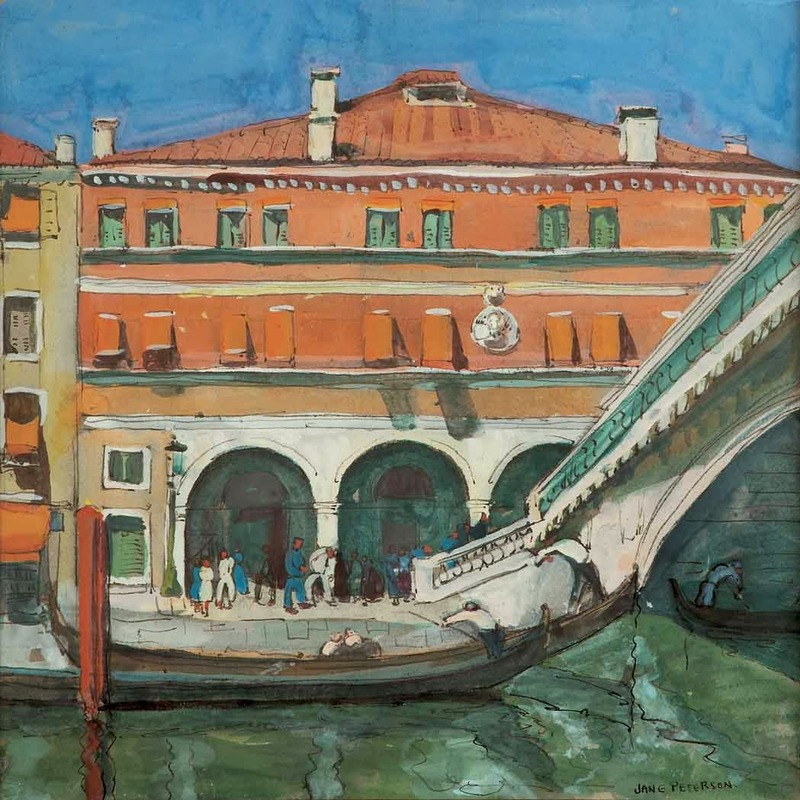 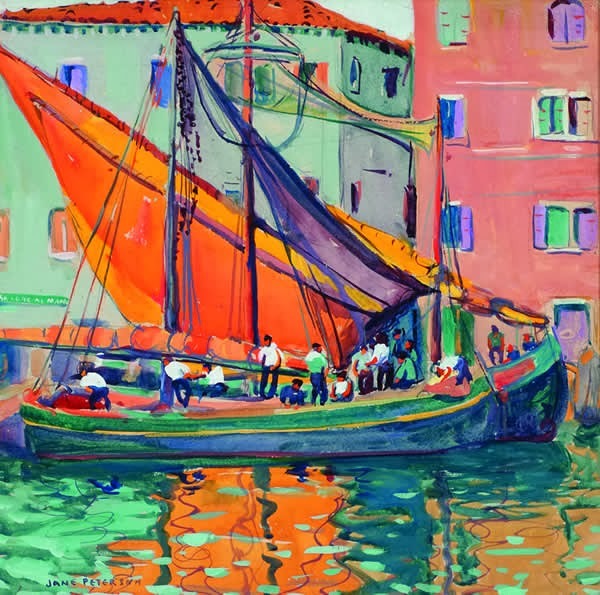 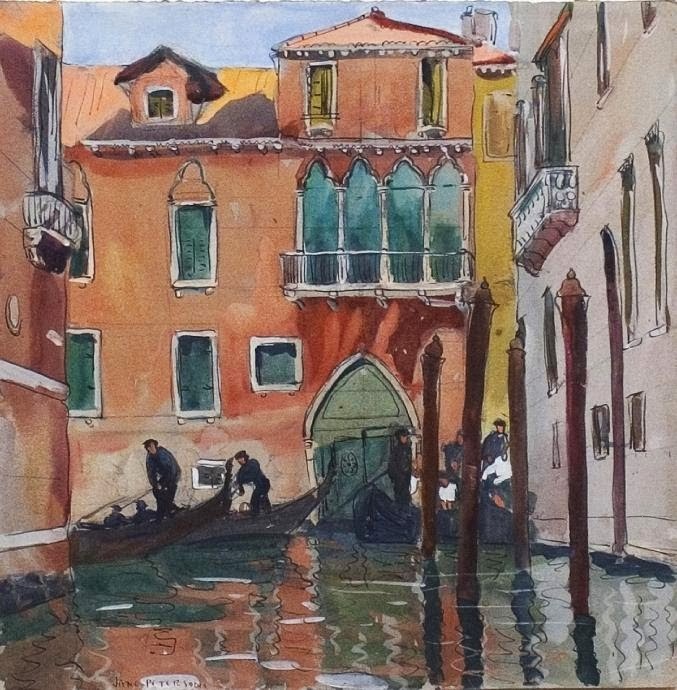 After a tour of the artists' colonies along the Cornish coast, at Volendam, Holland and Lake Como, Italy, Peterson decided to remain abroad for more artistic study. 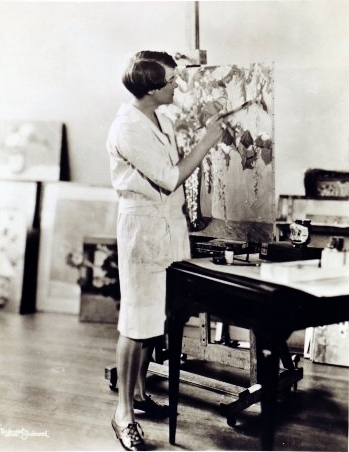 In London she worked with the British artist Frank Brangwyn, whose bold sense of design helped shape her own work. 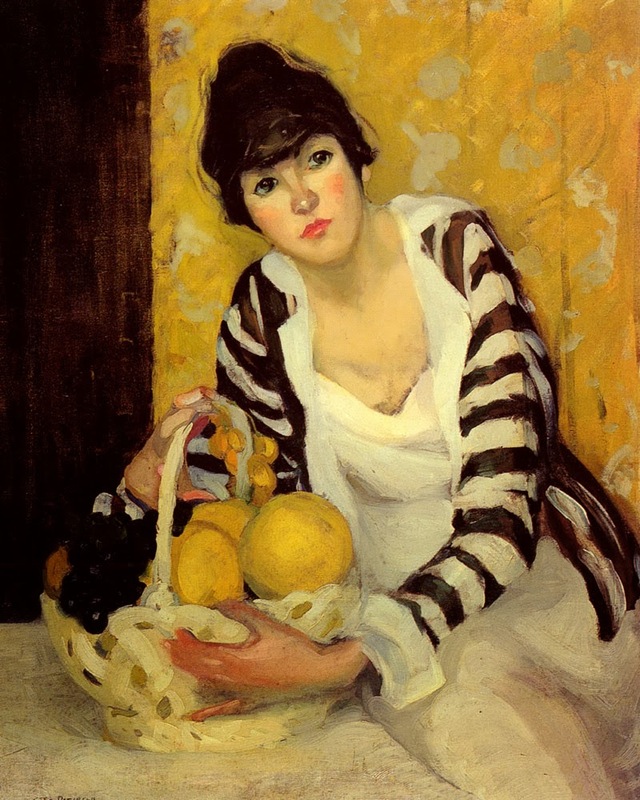 Later she studied in Paris with the portraitist Jacques-Emile Blanche and the Spaniard Claudio Castelucho. 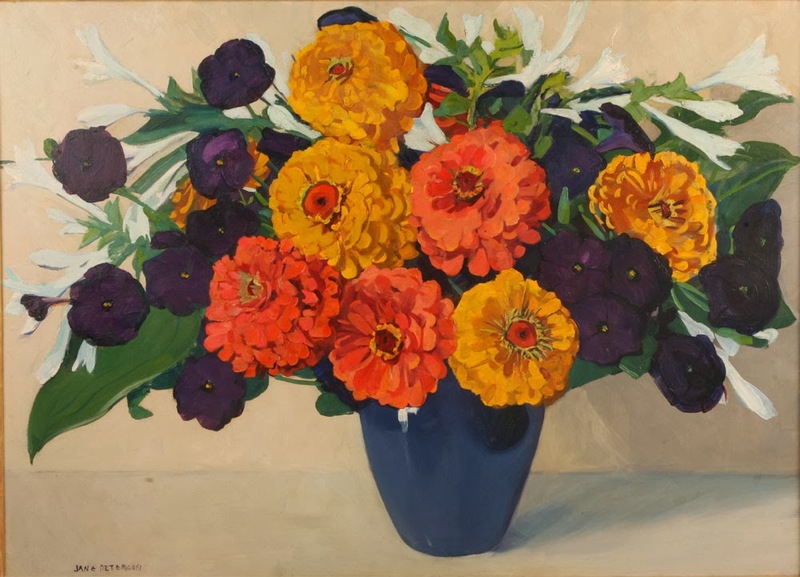 She soon became part of the circle around Gertrude Stein that included Pablo Picasso, Georges Braque, Henri Matisse and other Fauves and Cubists. 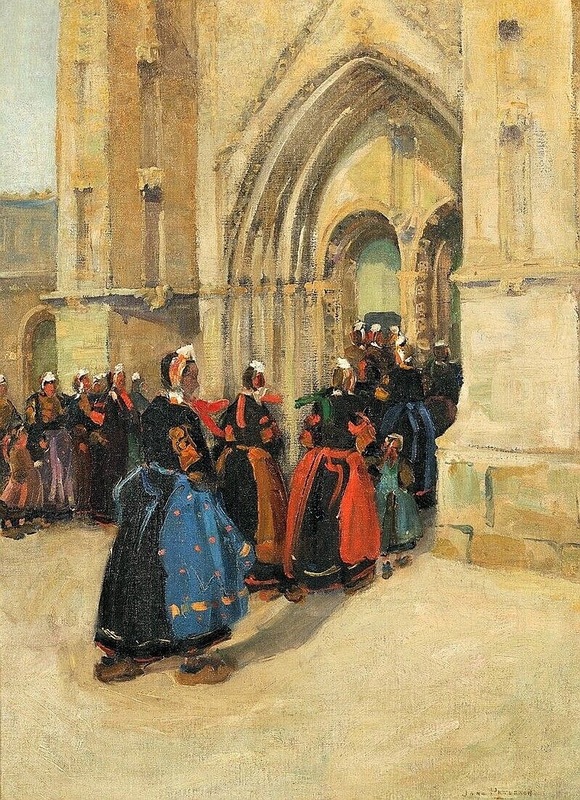 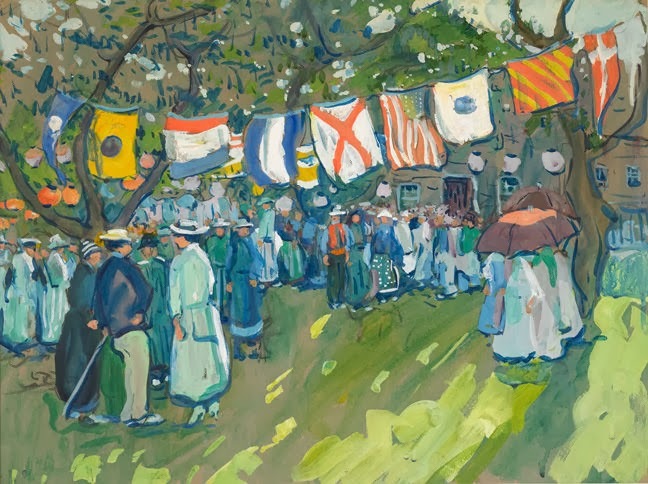 A solo exhibition of Peterson's work in 1908 at the Société des Artistes Français attracted many visitors, including one viewer who arranged a show for the artist at the St. Botolph club in Boston the next year. 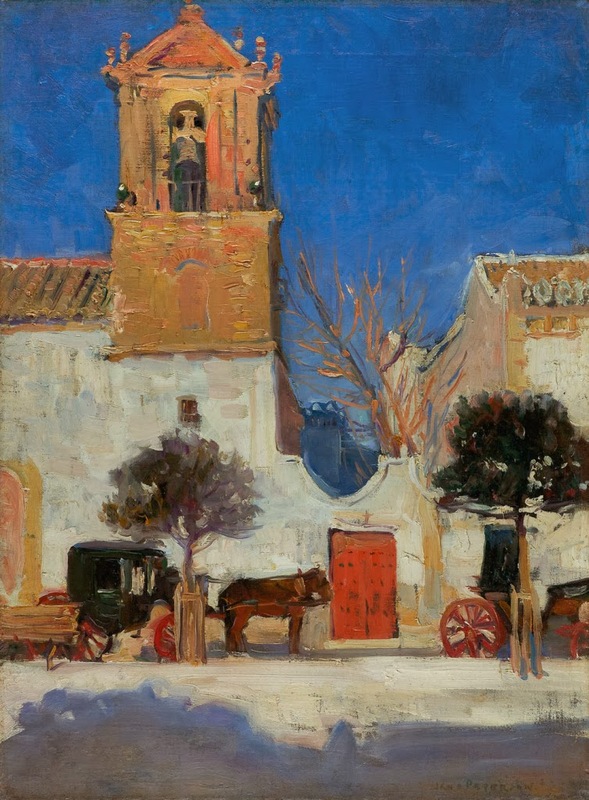 In the summer of 1909, the artist began to study with Joaquín Sorolla y Bastida in Madrid, an experience that gave new brilliance and spontaneity to her work. 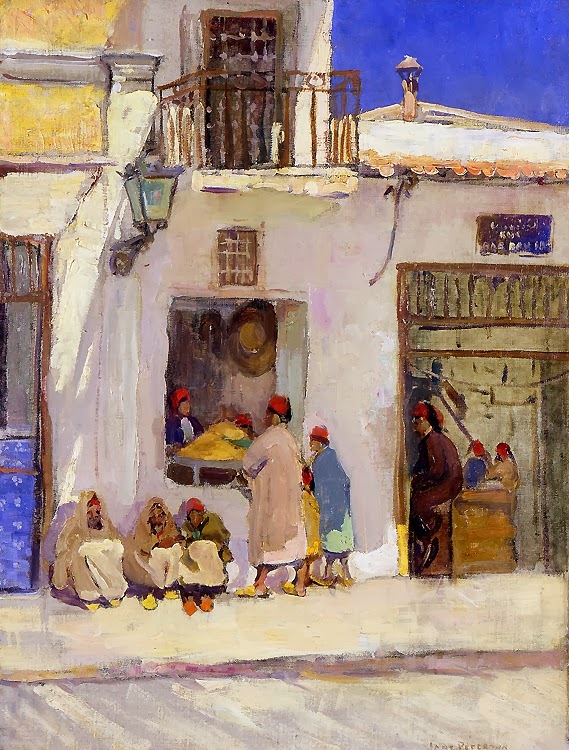 On a trip to Egypt and Algiers that same year, Peterson met Mrs. Theodore Shawe, a wealthy Chicagoan, who persuaded Peterson to return with her to the Midwest. 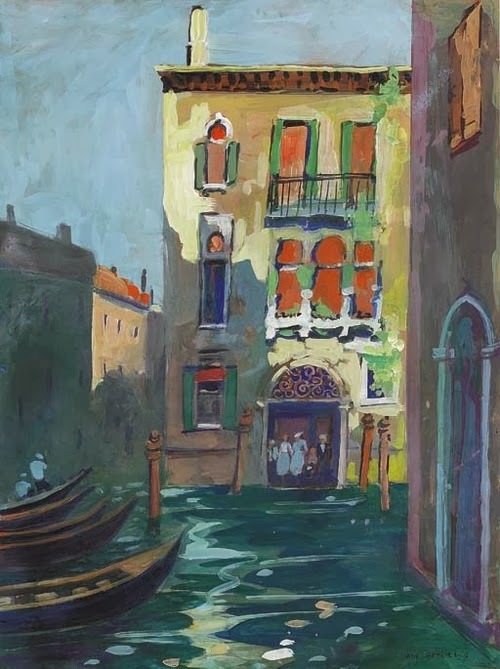 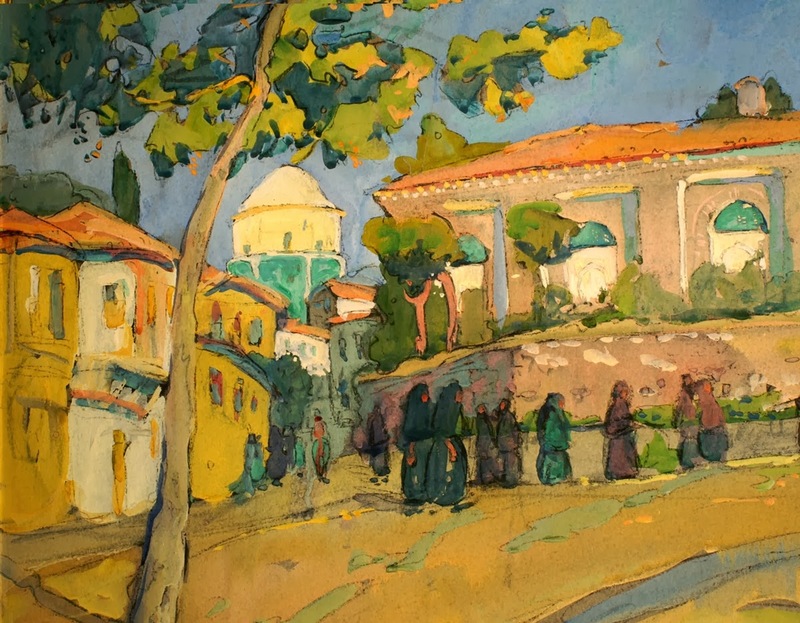 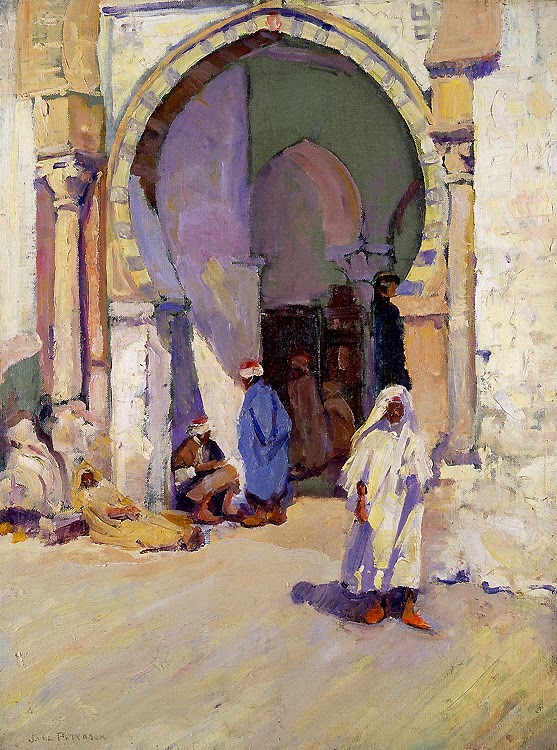 A major show of eighty-seven views of Venice, Spain, Algeria and Egypt was held at the Art Institute of Chicago in 1910. 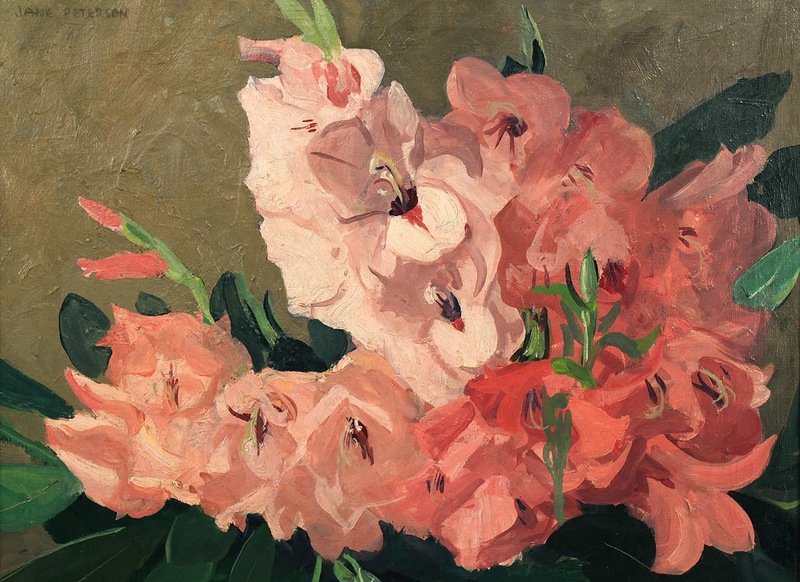 Sorolla arrived soon after to open his own exhibition at the Institute, and he persuaded Peterson to follow him to New York where he had been commissioned to do a portrait of Louis Comfort Tiffany. 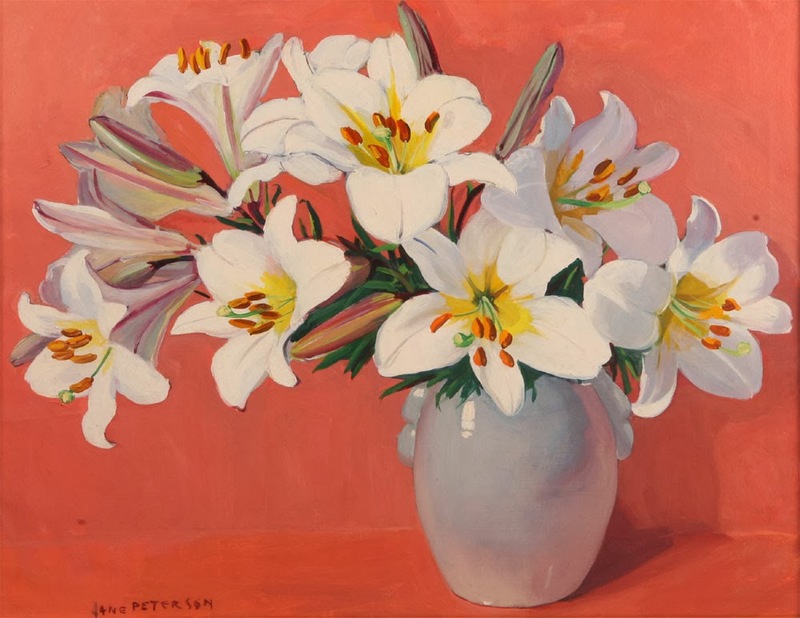 At Tiffany's invitation, Peterson joined the artistic circle at Laurelton, his summer estate in Oyster Bay, Long Island, where her favorite subjects were the lush gardens surrounding the enormous mansion. 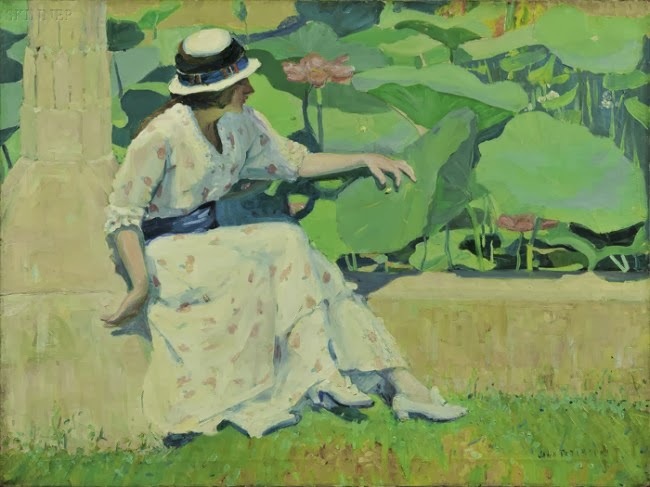 In 1912, Peterson journeyed back to Paris, where she associated with the members of the American Art Association which included Richard Miller and Frederick Carl Frieseke. 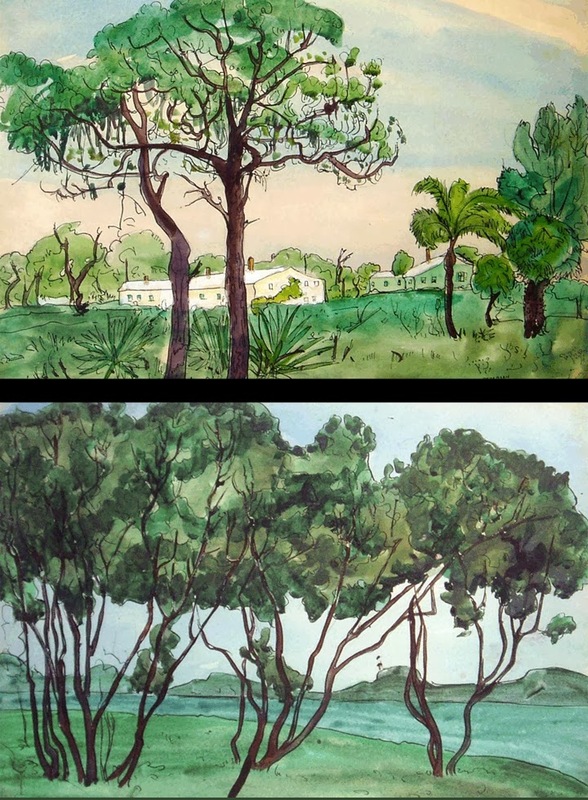 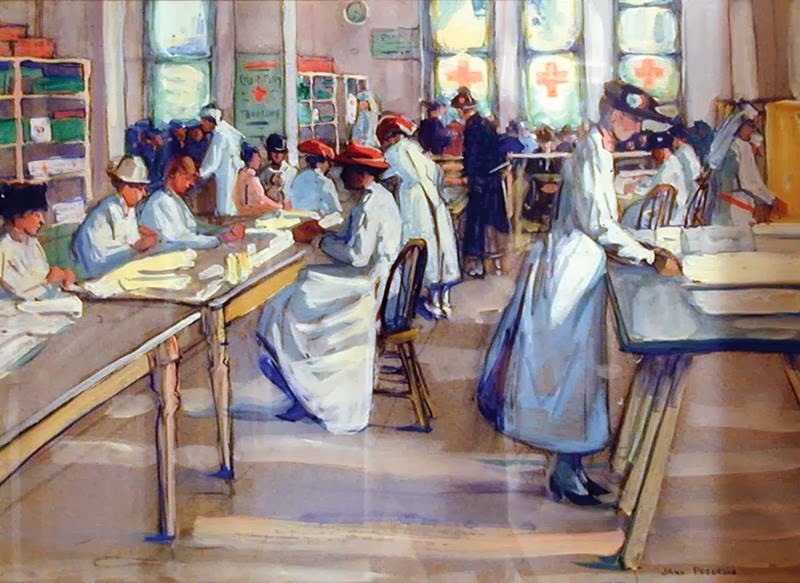 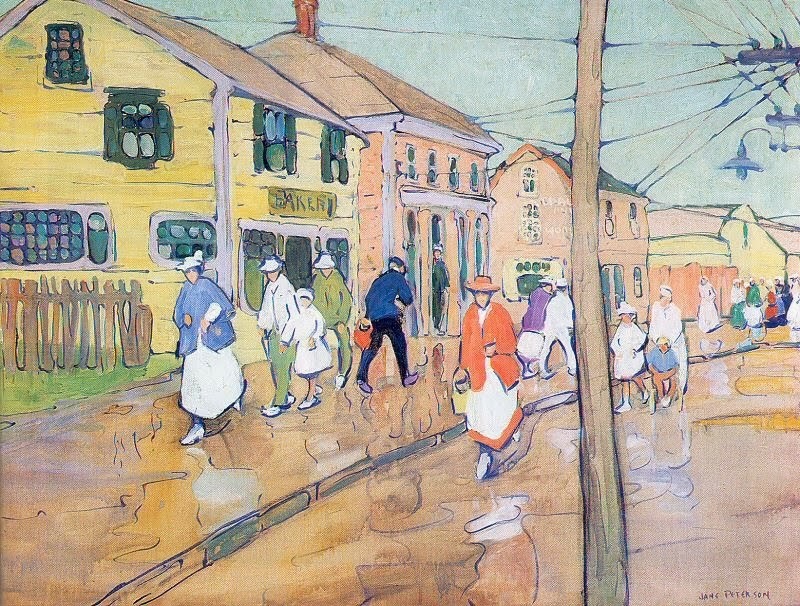 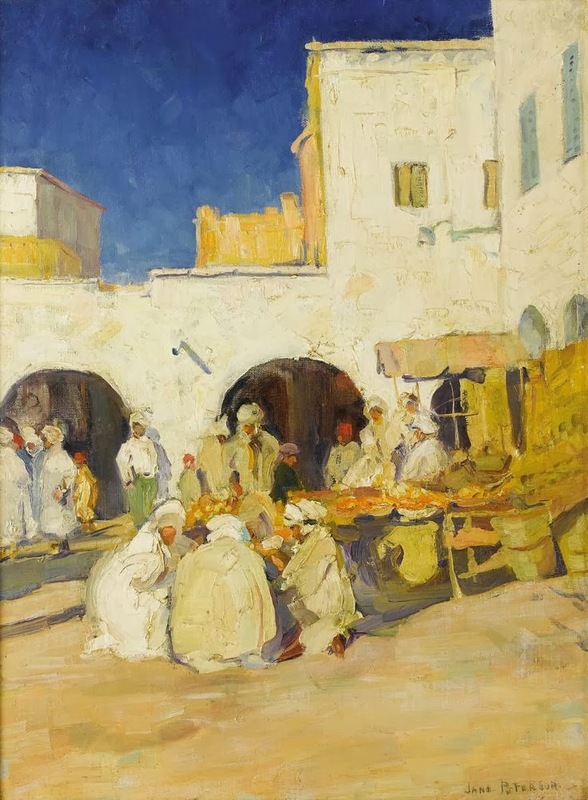 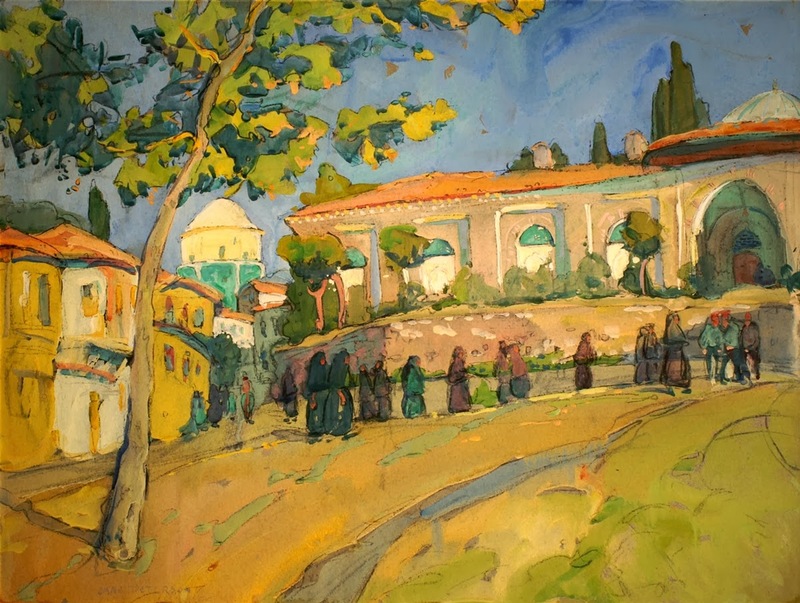 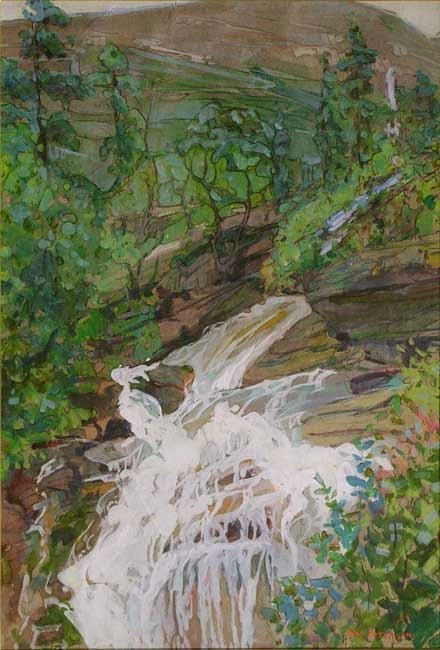 Her interest in watercolor as a choice of medium began at this time, and, on her return to the United States in 1913, she began a six-year tenure at the Art Students League in New York as an instructor of watercolor painting. 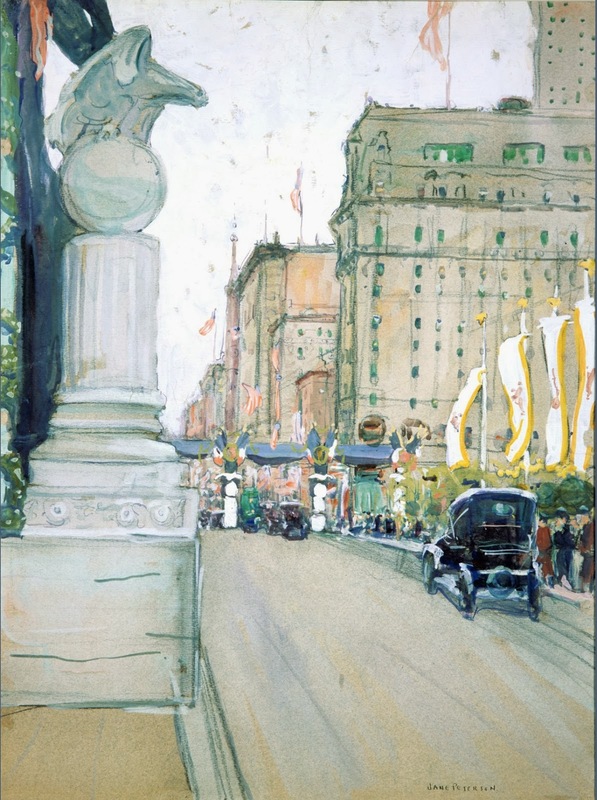 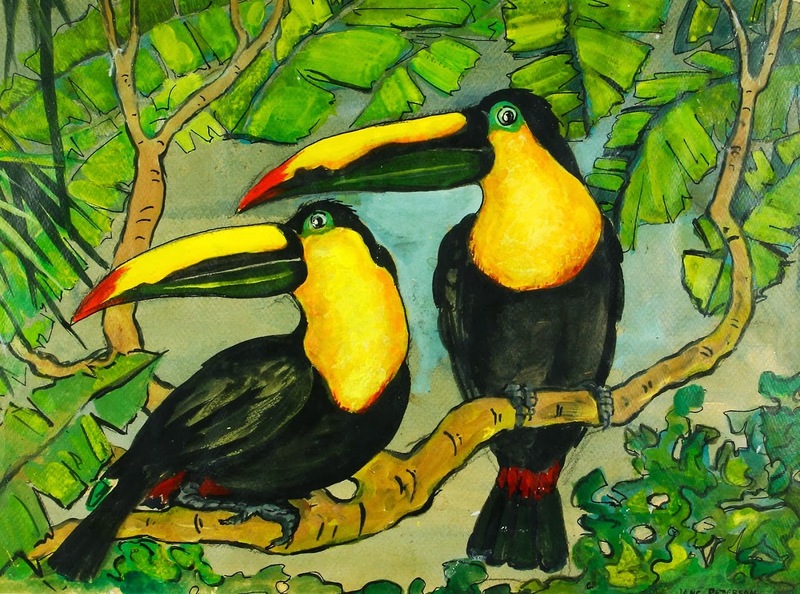 In 1916, Peterson joined Tiffany in a transcontinental painting expedition to Alaska and the Canadian Northwest. 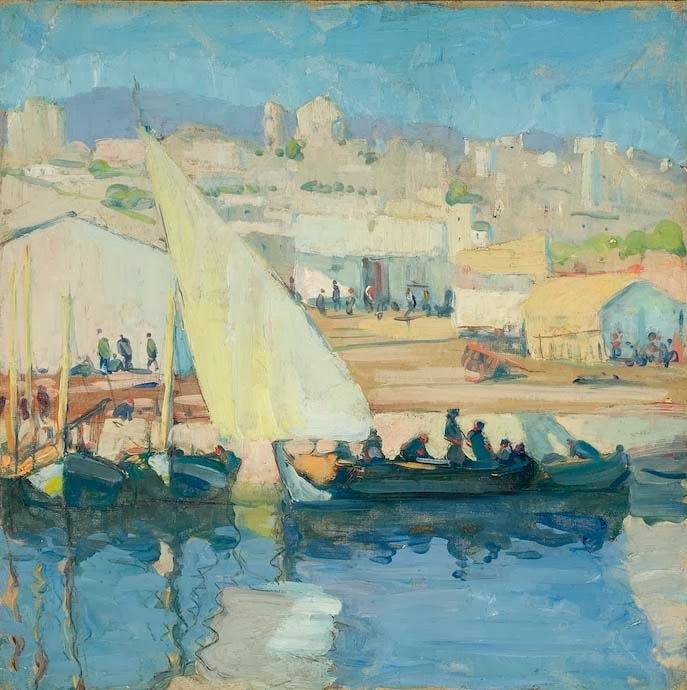 Extensive travel, which included painting trips to points along the eastern seaboard, the West, and the Eastern Mediterranean, provided colorful subjects for the artist's canvases figured in the artist's later career. 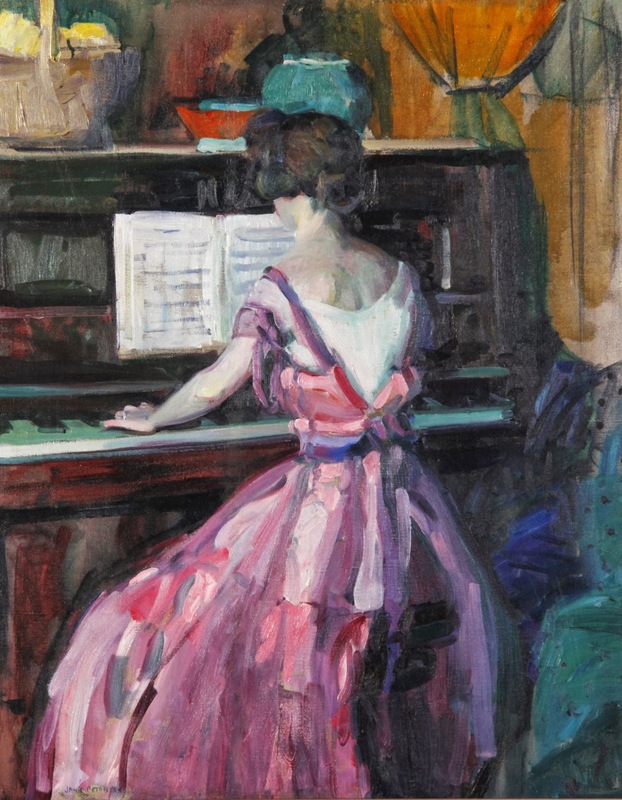 She continued to exhibit widely and often enjoyed the success of sold-out shows. 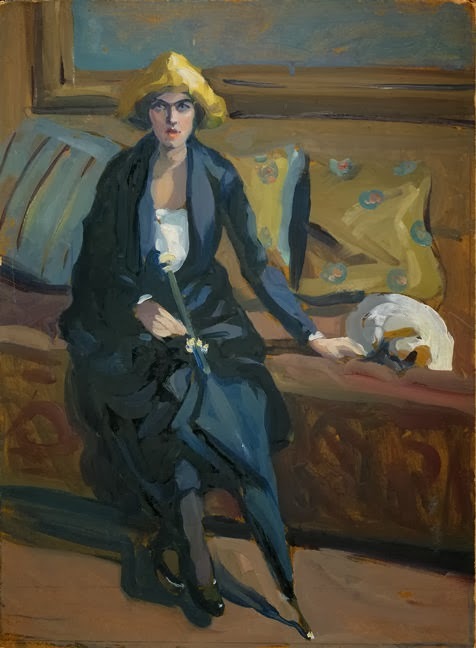 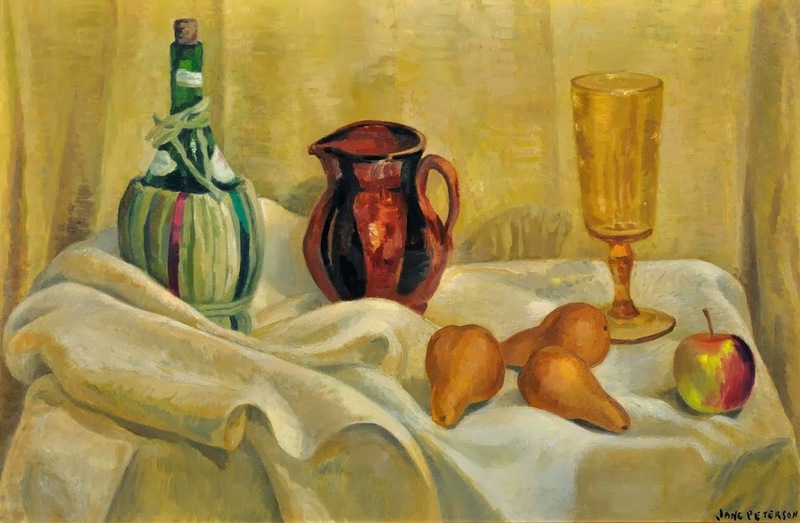 Her work is today represented in the Brooklyn Museum, the Metropolitan Museum of Art, the Pennsylvania Academy of the Fine Arts, and in many other public and private collections.